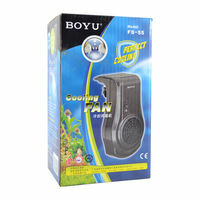 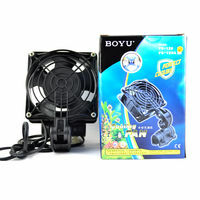 Indispensable if the outer temperature is high with 2 fans. 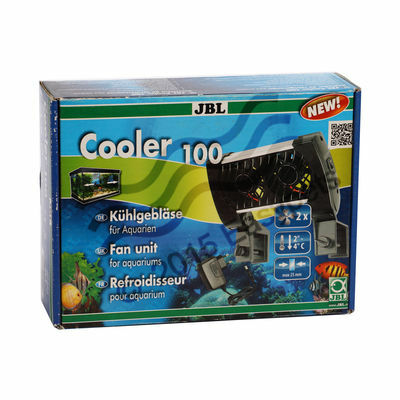 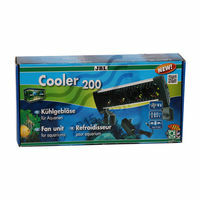 Cools aquariums by 2 Degree Celsius to 4 Degree Celcius as a result of the evaporation cooling process. 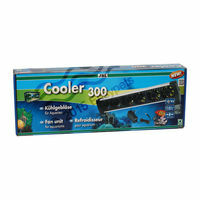 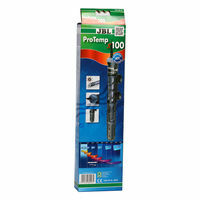 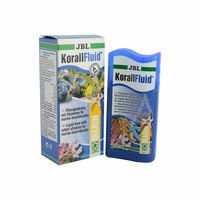 Can be mounted very easily to any aquarium wall (maximum 25 Millimetre thickness). 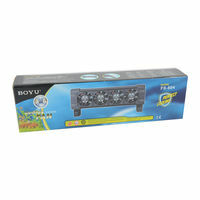 Has 12V low voltage and universal energy supply for all types of voltage systems. 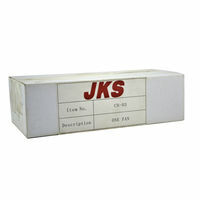 Dimensions: 8.75" x 6.75" x 2.75"